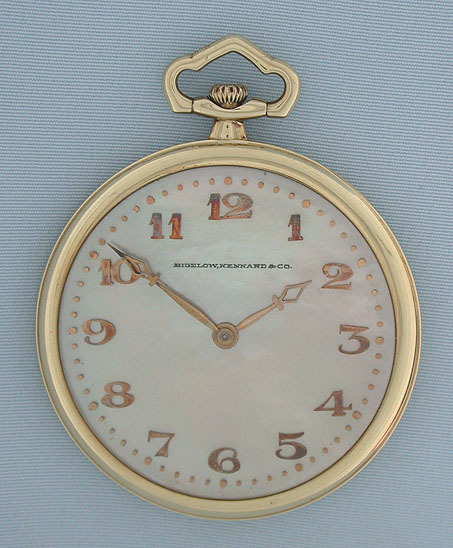 Fine, unusual and handsome Vacheron & Constantin 18K gold mother-of-pearl dial vintage pocket watch circa 1919. 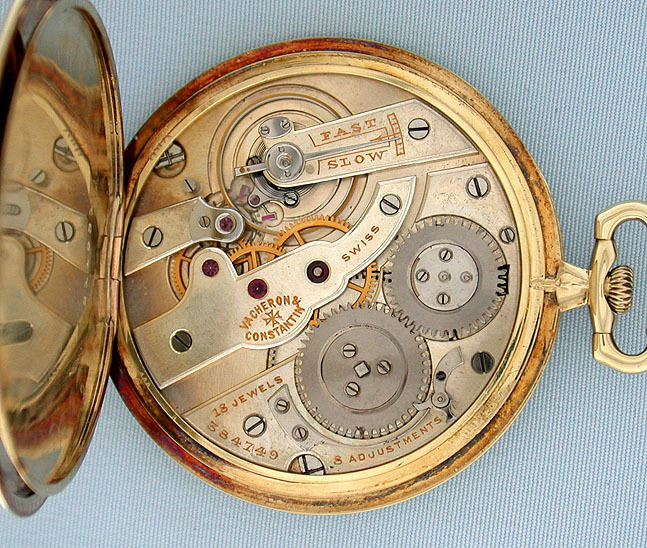 The dial with indiviually applied gold numbers and minute markers. 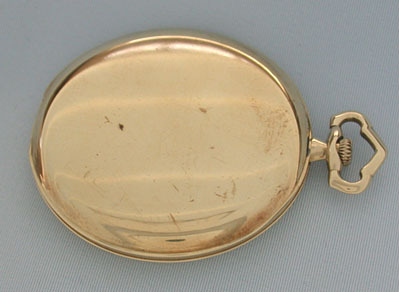 Plain polish slim drum case with presentation dated 1920. Nickel 18 jewel 8 adjustment movement. An elegant Art Deco watch by one of the most famous makers.